FEZ is a 2012 indie platformer based around switching between a 2D and 3D view of the world. The game is most well known for a controversy not related to the game at all. Go gaming journalism! Note: Runs using the clock counts as a different category. Best time: Single-segment 0:29:25 by Gaétan 'Gyoo' Young on 2015-01-10. This run has quite a small story around it. After a decent sized break I decided to give Fez a new bunch of tries because I felt there was something good going on. I managed to get a 29:48 (RTA) on version 1.07, which I though was perfect. Then, I switched to v1.11, because the route is different and there were some runners on it. After I've shown my interest in this version, bluecheetah came to me with a new route and a lot of optimizations here and there, and I managed to get a sub 30 on v1.11, which is theoretically a minute and a half slower than v1.07 because of some glitches you can't do on it. I am now working back on 1.07 with this new route and managed to get a very nice time (29:08 RTA) that might already be under 29 minutes RTA as you read these lines. In the meantime, I decided to record this new run for SDA to have an up-to-date run, with the latest strats and route. 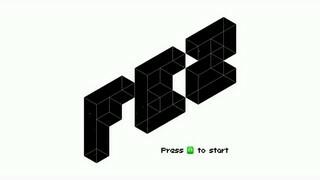 I timed it to be a 29:41 RTA, but whenever I record FEZ on my PC I get awful loading times, so I assume this is a sub 29 once the loading times are removed. That said, as I did for my previous run, here are some details about the techniques throughout the run. They are not in the order of appearance anymore, but I think my notes will help you to figure out when I use which of them. The run starts as we confirm that we want to override the previous game that was on this save. We start by leaving Gomez' room, there's nothing to do here anyway. We discover the village as the chief sends us a letter (that we won't read) and grab some vines to climb. This is the technique that we can't do on 1.11 but we can on 1.07. You start by standing on the corner of a platform, then go back and forth. Gomez will slide, and during the slide, you jump in midair. You can then reach this platform with a chest, and in this chest, in a normal gameplay, there use to be a key. But because we are in the introduction of the game, for some reason, there's a cube inside, so that's one cube we don't have to get elsewhere. After this, we just go to the top and get the Fez during this cutscene-ish sequence. Texts are mashed as fast as possible by pressing B repeatedly. You can basically skip one message box per frame, so the faster you mash the better it is. At the end of the sequence, the game soft-resets itself automatically, it's actually a part of the cutscene. During the transition to Gomez room we execute the first controller code. There is a total of 19 controller codes we will do throughout the run, almost all of them will give us an anticube (purple cubes). The goal of the run is to collect 32 cubes to open the door that leads to the final zone. The other cubes (that I call Exploration cubes) are gotten by exploring the zones, where you will get either cube bits (8 cube bits = 1 full cube) or full cubes at the "end" of each zone. Here, we will get cube bits only. Now back on the mashing, and at the end of it we fall down to the big door that we will open because we already have enough cubes (2 out of 1) to open it. Then, Dot (Gomez' companion) is supposed to talk to us for a few message boxes but if me manage to open another door quickly enough, the message is skipped. Then we enter this room with all the paintings, execute another controller code and take profit of the cube appearance to get a key in a hidden chest, that will be used soon. We used to enter another room to get a cube bit, but bluecheetah discovered that there is a faster way to get one near the end of the run, so we will go for this one instead. Several cube bits are collected and we use the key to open the locked door, execute a controller code inside, then leave the village. Nothing much to say in the next zone, good execution. The Blue Zone is the main area you will visit in this run, because it allows you to access a lot of places. We start by going to the Waterfall. Usually, 2 codes are executed during the transition but I had to make them slightly late because the zone wasn't entirely loaded during the transition. Then we enter the hidden door to lower the water level, which will be useful later. Now going to the infinite fall room that you can open with a bomb, a code is executed and you gather cube bits and an exploration cube aswell. Because the cube and the anticube are in the same place, there is a way to get both cubes with a single animation, and I managed to get it. It doesn't always work though. Finally, the sync room is totally based on the music and cycles. I hurry a lot in the beginning to reach the fork room where I get another anticube, because it allows me to be safer for an early cycle later on. I get it pretty easily and even have to wait to get it. Then, another waiting pahse to climb up the platforms and it's another anticube. The bell tower zone has been improved quite a bunch. You will start to see weird teleport glitches that happen when you're in an alcove with a wall on each side. If you switch side in midair the game doesn't know where to put you so you're ejected from the alcove on a side. You can abuse this to save a good bunch of time overall. You have to push the bell several times on each side depending on what's written on it in a coded language. 1 anticube. It's important to hurry up here because the moving platofrms are cycled and you can have a good cycle if you go fast enough. Next room, you start by abusing the perspective to jump left directly to a puzzle room. It has been improved as well with side switches that save a lot of time instead of going to the left to get the last cube. The idea is to construct the tetris block drawn on each side with only 4 cubes. By glitching it a bit it can be done pretty fast. Thankfulkly I didn't have black holes while leaving this room. They can happen after you visited a room once and are run killers in 2 places. One is right there, the other one was before entering the sync room. Some others TP glitches happen as I'm collecting cube bits. In the folowing room, the only noticeable thing is that longjump I do to grab the vines after getting the cube bit. Nothing relevant after this. Last room, TP glitches everywhere to kill the room as fast as possible. This is another big route change. We used to go to the Lighthouse right here before, but now we are going there later to optimize a few seconds of movement. The Arch section start with a pretty tight jump to avoid going all around the place to reach the base of the arch. Once I'm at the top, there are invisible platforms that you can guess after discovering maps somewhere in the game. These leads to an anticube, and then I gather the last cube bits, with another tight jump to reach the moving platorm. Next room is just execution. By going slightly faster I mlight be able to get an earlier cycle on the last moving platforms. We start by going into the big tree. Nothing much in the first room. Then, last TP glitch to avoid going all the way around once again, and controller codes are back ! Yet another anticube. Then it's all about jumping correctly on the mushrooms. After the big loading, another controller code, and invisible platforms to reach the chest that has a map inside. This map has a QR code on it, and the QR code gives you a controller code that I do right after, during the transition. After another cube bit, the puzzle zone needs you to form the pattern of a cube that is not shown on the monolith. Once we get this, we enter the temple ang do yet another controller code to get an anticube and a cube bit at the same time. Please notice the longjump, that is the hardest in the run for no apparent reason. But it's pretty easy to fail this one. A few explanations here. I start by going to the door above Gomez, but I need to enter, leave, and enter again so the controller code inside can be done. Then, the Throne room has the longest controller code in the game but thankfully it's not that hard. after these cubes, we leave for another zone. Here you have to move those spinners to unlock temporary vines, and then climb on them. I always go for the shortest amount of spins to be able to pass them. Then we enter the Telescope room where a controller code is made, next room. In this room we are supposed to use the spinner to make the vines easily climbable but it's possible to climb without the spinner. We enter the Rosetta room where we can learn how to translate some controller codes, and there is a code to execute aswell. Almost there ! As we didn't do the Lighthouse before, we're going there right now to get 2 anticubes and a cube bit. A controller code is made during the transition, and then the other one in the fork room. This fork room is the reason why I had to lower the water level earlier. Then we go back to the big doors room where I activate 2 of them, because after going to the classroom I will go to the other one I just opened. The classroom is pretty easy, you just have to go there, execute one last controller (small hesitation of mine) code and you fly away to the Zu village. We have to grab that last anticube (which is the one we didn't get in Gomez' village at the beginning) and then we can finally reach the final zone with that 32-cube door we can open. We have to wait for the portal to open so I go swimming for funsies. Thankfully I can get back very fast by switching side. Well, it's supposed to be a moon at least. Then we're on to the final cutscene. Game soft-resets itself once again. Timer ends when you leave Gomez' room. Thanks for watching this run and I hope it'll give you the will to try it yourself !